There was a time when I "knew" for sure that I would never comfortably be eating a Thanksgiving meal again. I would have sworn on it. So every year when I have Thanksgiving and am loving it, I am grateful for not only the glorious food that becomes fuel and flesh for my body, but for the ability of the human mind and spirit to overcome adversities that seemed impossible to conquer. I had one of the best meals of my life last week at a restaurant in London. Full-on great tasty dishes like risotto with truffles, sweet potato soufflé, stuffing that was to die for, salmon with maple glaze, and pumpkin pie with caramelized pumpkin seeds on top and apple ice cream. I was with my sister, her husband and my nieces and it was one of the four greatest meals of my life. It made me think about my work with eating disorders including my own long hard journey to becoming Recovered. It made me want to share about triumph and about how our stories of ourselves and what we think we can and can’t do is all largely controlled by us. We get to make the changes we want to see, but it is hard and we need help and support from others to help us see it is possible. 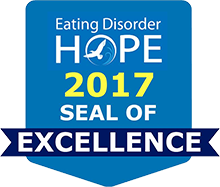 I believe this is a unique value that treating professionals, and especially recovered treating professionals, can offer the eating disorder field.